MOSCOW — Anastasia Laukkanen has experienced firsthand the consequences of a collapse in relations between Turkey and Russia that followed Ankara’s downing of a Russian jet near the Syrian border in November. The 28-year-old, who grew up in Moscow with a Turkish stepfather and moved to Istanbul 18 months ago, has witnessed a very personal crisis as a result of the public confrontation between the two Black Sea nations. After 25 years living in Russia, her pensioner stepfather had to travel to Turkey in December because of new immigration rules introduced by Moscow — and has been unable to come back because of difficulties obtaining a new visa. “[In the Russian embassy] they point their fingers to the ceiling and say, 'It’s impossible: He is trapped in Turkey and cannot return,'” Laukkanen told International Business Times. As for herself, Laukkanen said she has never been harassed in Turkey because of her nationality but is regularly contacted by worried friends and relatives in Russia. “They call and say, 'There is a war on, so don’t leave the house,'” she said. Thousands of ordinary Russians and Turks have had similar experiences to those of Laukkanen and her family after relations between Moscow and Ankara were left in tatters when Turkey shot down a Russian Su-24 it said violated its airspace Nov. 24. Russia furiously maintained the plane had been over Syria, and the incident, in which two Russian military personnel lost their lives, sparked a war of words and led the Kremlin to impose economic sanctions on Turkey. Tensions have not eased between the two countries since November and threaten to escalate, with analysts warning of the possibility of further military confrontations in the skies over the Syrian border. Turkey and Russia back opposing sides in Syria’s civil war, with Moscow four months into a bombing campaign in support of Syrian President Bashar Assad. 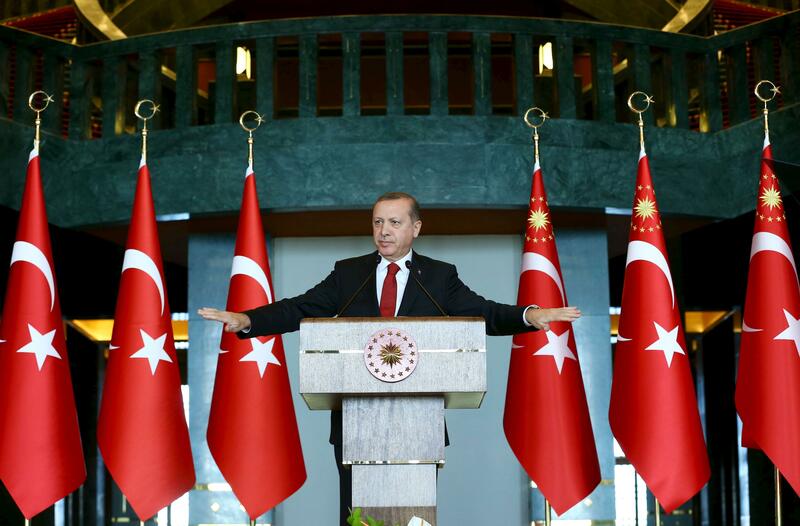 Ankara is seeking Assad’s ouster and accuses Russia of targeting the rebels it supports. 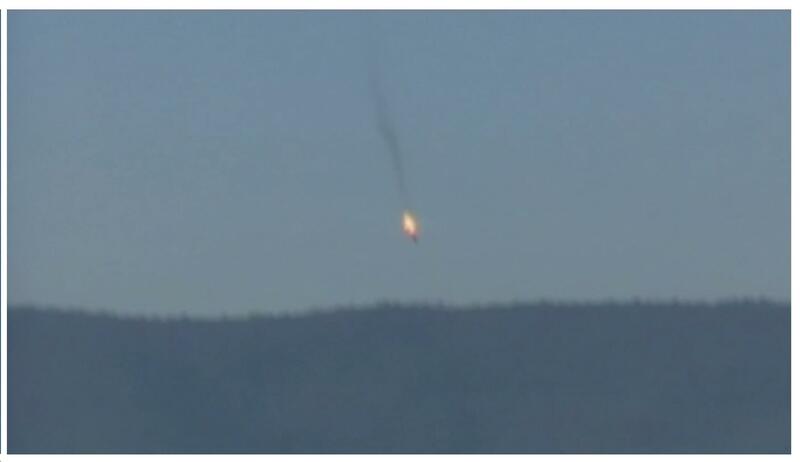 In the latest standoff, Turkey, a member of NATO, said its radars detected a Russian jet in its airspace Friday. NATO confirmed the incursion. Russia’s Defense Ministry angrily denied any of its aircraft entered Turkish airspace, accusing Ankara of organizing a “provocation” and releasing what it said was video evidence of Turkish artillery batteries shelling positions inside Syria. 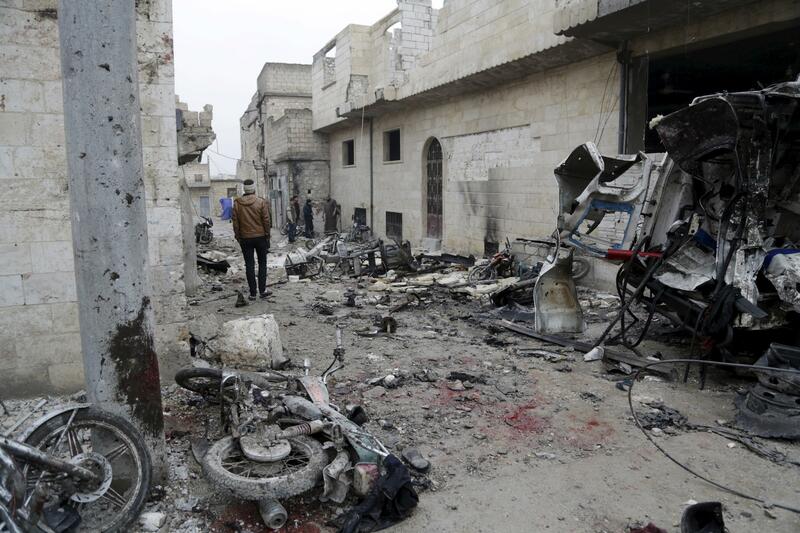 Even as Syrian peace talks take place in Geneva, Moscow has stepped up its bombing campaign against rebel groups in Syria as it backs a government drive to encircle and retake the key city of Aleppo, and cut off key rebel supply routes from Turkey. "There is an obvious escalation of the conflict between the two countries, and the Turkish regime is conducting itself very aggressively," said Vladimir Avatkov, a Turkey expert at Moscow’s MGIMO University, where many of Russia's diplomats and intelligence officers are trained. In perhaps the most ominous sign of preparations for a possible military escalation, Russia announced Monday the deployment of advanced Su-35C fighters to its Hmeimim air base in Syria’s Latakia region. The state-of-the-art jets are likely to be Moscow’s choice to face down any Turkish aerial challenge, including F-16s, the type of warplane that shot down the Russian jet last year. Delivered to the Russian air force in summer 2015, the Su-35C has been referred to as the “pride of Russia,” “the terminator” and “the sky wolf” by Russian media. 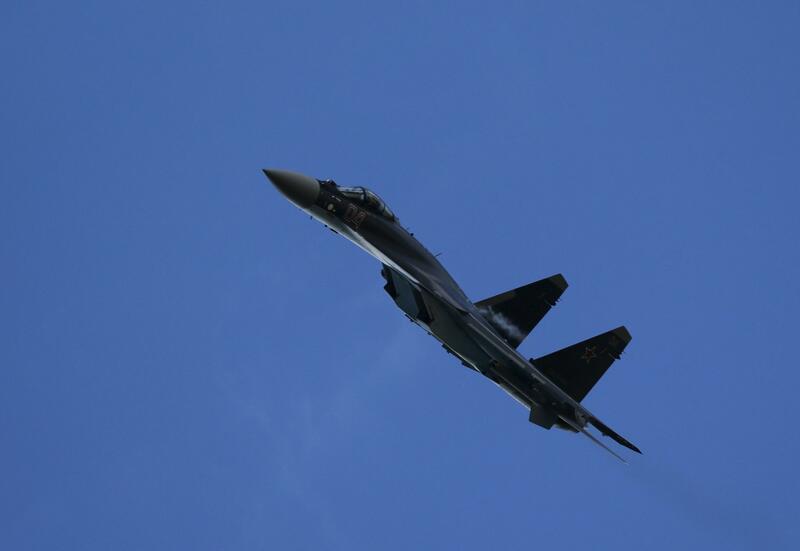 The fighters are “not only equipped with the most advanced weapons to destroy any aggressor but have the means to defend themselves if a real dogfight breaks out,” the Zvezda television channel, owned by Russia’s Defense Ministry, said Wednesday. The military confrontation has been accompanied by Russian economic sanctions against Turkey and a campaign in Kremlin-friendly media depicting Erdoğan as a dictator and Ankara as gripped by great power delusions. Since the downing of its plane, Russia has banned the import of Turkish fruit, vegetables, salt and poultry, canceled Russian charter holidays to Turkey, banned construction projects for Turkish firms, introduced visas for Turks in Russia and suspended a $12 billion natural gas pipeline to Turkey. "The economic ties developed over the last 20 years are being destroyed," Avatkov said. The antagonism harks back to the Cold War, when the Soviet Union saw Turkey as the easternmost outpost of a hostile West, and even the 18th and 19th centuries, when Imperial Russia fought a series of wars with the Ottoman Empire. 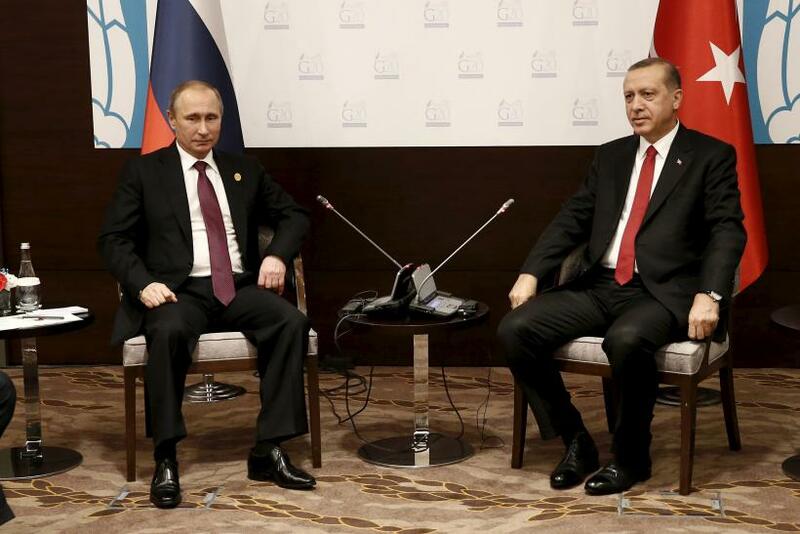 While Turkey’s economy is suffering from the economic sanctions — Russia is the country’s No. 2 trading partner — the outcry over the deterioration in the relationship is much more obvious in Moscow. “You only find the hysteria in Russia,” Laukkanen said. "There is no hysteria in Turkey." The rhetoric has even sparked fears Moscow’s uncompromising stance may be a way of distracting domestic attention from an economic contraction, high inflation and a dramatic collapse in the value of the country’s currency.